Hear from travel experts, authors, and adventurists to find out what they've seen and learned while gallivanting out and around the world. Samantha speaks about her adventures, the world's perception of Americans, having her ears cleaned in public, and showing Anthony Bourdain how to smile. Get ready to gallivant as we bring you insights and itineraries on top domestic vacation spots along with exotic international destinations. Take a charming journey through the Deep South region of the United States with a special focus on a few of the important women who helped shape it. Search our annual calendar for uniquely fascinating events and festivals taking place around the world throughout the year. Embarking on a 3,000-mile drive through six southern states, we examined 10 unique aspects of the practical yet elegant Toyota Avalon. Stay informed with breaking news, top stories, and insights from expert representatives from the travel and adventure industry. McCarthy has bared his soul in his book The Longest Way Home: One Man's Quest for the Courage to Settle Down. Find in-depth recaps and reviews of resorts, hotels, spas, cruise line ships, travel products, adventure activities, and much more. Blending southern hospitality with exotic traditions, the hotel with 5-star spa welcomes visitors with a personally-customized experience. Get helpful insights with these tips and tricks designed to assist you during your journey along the road of travel and adventure. From what to wear, when to shower, and how much to tip, learn what to expect from an upscale massage experience. Search our annual calendar for uniquely fascinating events and festivals which are taking place around the world throughout the year. Samantha speaks about her life and adventures, the world's perception of Americans, having her ears cleaned in public, and showing Anthony Bourdain how to smile. This insightful world-traveler talks about romantic destinations, remarkable festivals she's attended, and the similarities of cultures around the world. He's witnessed romance in dozens of cities across the globe, thinks dating is brutal, and sometimes feels like a psychiatrist in a fascinating study of human behavior. A Ladies' Tour of the Deep South Take a charming journey through the Deep South region of the United States with a special focus on a few of the important women who helped shape it. 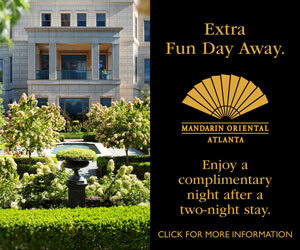 Take some time for fun attractions while pampering yourself with luxury when you visit the elegant Buckhead neighborhood in Atlanta. There is, without a doubt, a reason that Charleston, South Carolina, repeatedly ranks near the top of lists of America's best cities. Native residents of the Lone Star State will tell you that everything's bigger in Texas, and the DFW metroplex is certainly no exception. The phrase Don't mess with Texas is not merely an anti-littering public service announcement, it's also a well-protected way of life. This southern city, which incidentally sits atop a dormant volcano, is bursting with talent from its literary roots to its musically-inspired way of life. The sun-soaked Florida coastline offers an array of water-related activities like surfing, snorkeling, lounging beachside, and touring by helicopter. Once called the Paris of the South, this southern city by the sea has a 300-year history which has resulted in a variety of long-standing traditions. One of the top historical cities in the nation, Montgomery, Alabama, spans from the Civil War to Civil Rights to civil aviation. Noted as the birthplace of jazz, New Orleans is known for its distinctive music styles experienced as part of the city's thriving nightlife scene. One of the city's distinguishing features is its 24 conveniently-spaced city squares where you'll find fountains, monuments, and huge live oak trees. Search our annual calendar for uniquely fascinating events and festivals taking place throughout the year around the world. Embarking on a 3,000-mile drive through six southern states, we examined 10 unique aspects of the practical yet elegant Toyota Avalon Hybrid Limited. Welcoming visitors with rustic elegance, the Gaylord Texan sits on 4.5 acres of gardens and waterways underneath a climate-controlled glass atrium. Blending southern hospitality with exotic traditions, the Mandarin Oriental hotel with 5-star spa welcomes visitors with a personally-customized experience. 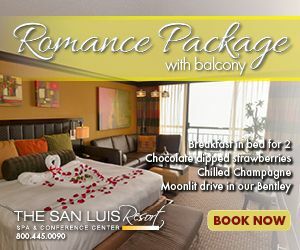 Incorporating coastal views, waves crashing against the adjacent shoreline, and refreshing beverages poolside, The San Luis Resort will stimulate your senses. Swimming with the stingrays, dancin' 'til all hours of the night, sipping fruity drinks, and basking in the sunshine ... aaahh, our Carnival cruise is fondly remembered by the soul-inspring Calypso beat that beckons our return! Conveniently located on a prestigious corner in the heart of downtown, The Whitney Hotel is a tranquil respite from the lively hustle and bustle. Experience Charleston like a local at the Fulton Lane Inn, nestled along a quaint alleyway directly off King Street in the heart of downtown. From what to wear, when to shower, and how much to tip, this guide to spa etiquette will explain what to expect from an upscale massage experience. Heeding just a few simple principles while traveling with a companion can make a significant impact toward keeping personal relationships peacefully intact. Pauline speaks about roasting marshmallows over volcanic lava, novels as inspiration, and the top mistake people make while traveling. Samantha speaks about her life and adventures, the world's perception of Americans, and showing Anthony Bourdain how to smile. Welcoming visitors with rustic elegance, the Gaylord Texan sits on 4.5 acres of botanical gardens and waterways underneath a climate-controlled glass atrium.